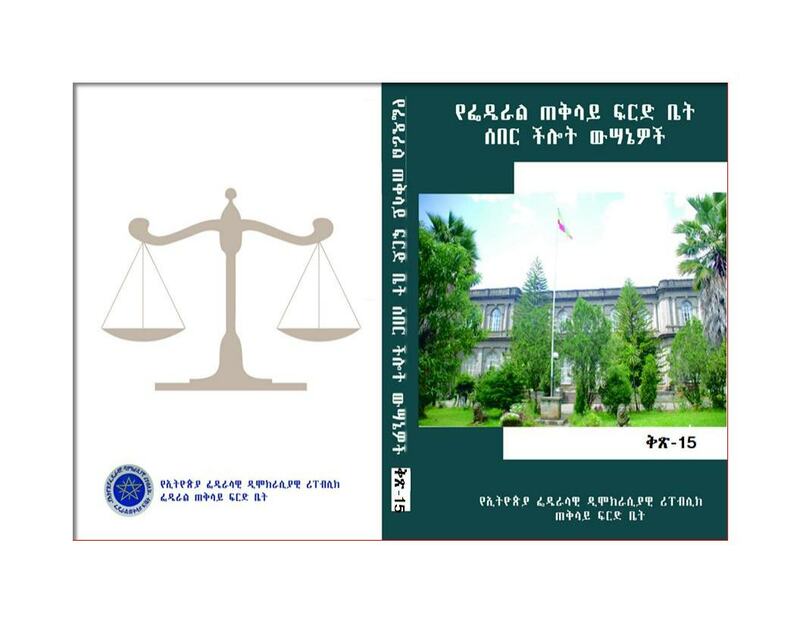 Federal Supreme Court Cassation Decisions Volume 15 is now officially released. tnX 4 posting this decision Iam enjoying it. thank you Abrham I appreciate for what you are doing. Thank You a lot for your valuable assistance!! Thank you for bringing Ethiopian laws to every ones door and making them accessible to the public in time. Hi Abereham I receive the cassation decision volume 14 thanks alot. THANKS A LOT MY FRIEND I REALLY APPRECIATE YOUR KINDNESS& GOOD JOB, PLEASE SEND ME IF YOU HAVE OROMIA REVISED FAMILY LAW OROMIC OR AMHARIC VERSION. THANK YOU AGAIN!